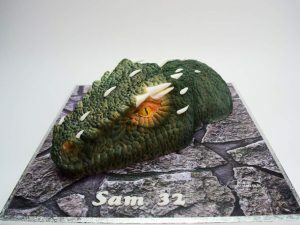 Make sure your next special occasion is one to remember with a 3D dinosaur cake or dragon cake. 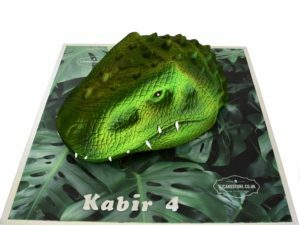 Whether you choose a friendly dinosaur birthday cake or a fierce 3D dragon cake, you’re sure to impress your guests. 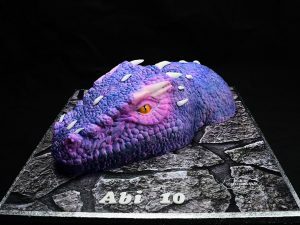 All of our cakes are expertly hand-painted, and can be personalised with a name or message, and can even be made gluten-free. 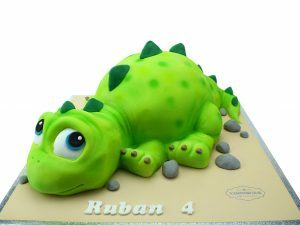 Simply choose your favourite flavour and we’ll create a delicious cake just for you! Take advantage of our free nationwide delivery and personalisation options.